Everyone knows that you need the right tools to make your hobbies fun and productive. Metal detecting is no different. You may have the very best detector that money can buy, but if you don’t have the right tools to retrieve targets you detect, then it’s all for naught. That’s why it’s important to find the perfect digging tools for your metal detecting hunting trips. With our collection of metal detecting shovels, you’re sure to find exactly what you need – high-quality equipment at budget-friendly prices. Certified to be more than 150% stronger than comparable tools. Lifetime Guarantee. 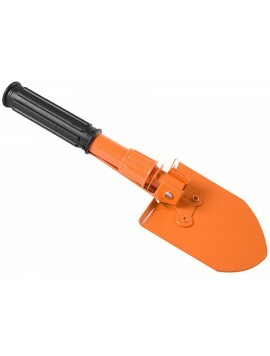 Compact Version Shovel. Certified to be more than 150% stronger than comparable tools. Lifetime Guarantee. Perfect to dig in Grass, Sand, Clay and even Rock. Only 25" in Length Overall. How Do I Choose a Metal Detecting Shovel? 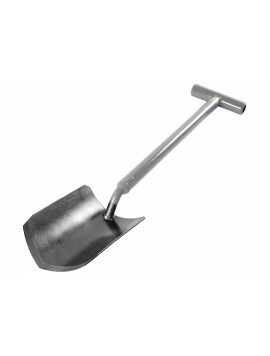 You will want to pick a shovel that is going to make your digging quick, efficient, and easy to clean up after. That means that you have to take into account where you will be digging – what type of soil it is, whether you will have to dig through vegetation or roots, and hard it will be to return the spot back to how it was before digging. 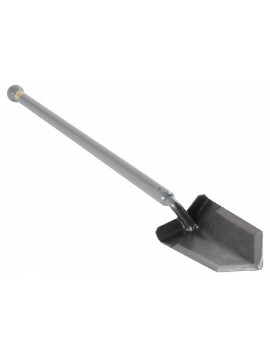 You want a shovel that is sturdy enough that you can break through hard ground, but maneuverable enough that you won’t cause damage to plants, grass, or your target. You also have to consider how lightweight the shovel is. Is it something that you can carry around for the whole time you’re hunting? 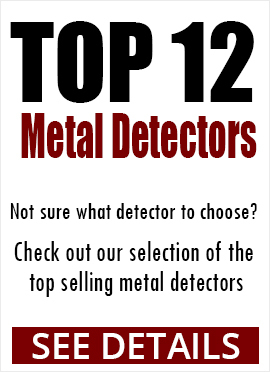 You don’t want to run out of steam from lugging your metal detecting tools around. I Have a Trowel, Do I Need a Metal Detecting Shovel? In a word, yes. It’s a good idea to have a shovel as well as a trowel. You may be able to get by with a trowel most of the time, but it would be terribly disappointing if you came across a target that you just couldn’t get to with the smaller digger. 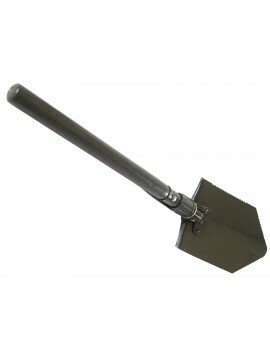 A shovel will move more dirt or sand, dig in harder ground, and make quicker work of deeply buried items than a trowel. The name of the game is metal detecting, that means you want to spend most of your time locating treasure, not spending all of it digging it up. 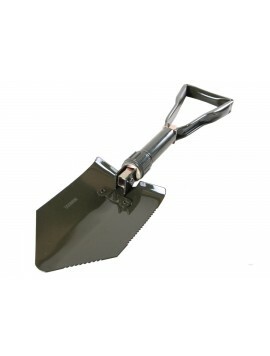 Having both a trowel and shovel will ensure that you are covered no matter what the digging conditions are. How Do I Carry a Metal Detecting Shovel When I’m Hunting? 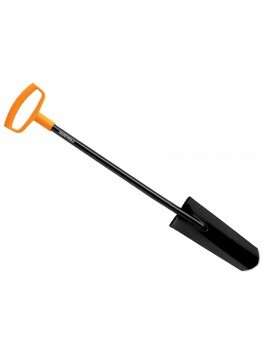 Metal detecting shovels shouldn’t be a hassle to add to your metal detecting tool belt. That’s why we offer a few different solutions to keep you light on your feet while detecting. You can choose a folding shovel that collapses into a smaller, more manageable size for carrying – some come with a convenient pouch that you can attach to your tool belt. 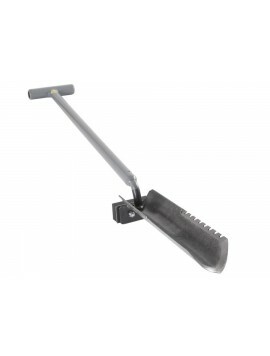 Another option is a holster for your T-handle shovel. The holster easily clips to your tool belt or the waistband of your pants, and it keep your shovel out of the way, and you hands-free so you can continue hunting. What Are the Different Types of Shovels? 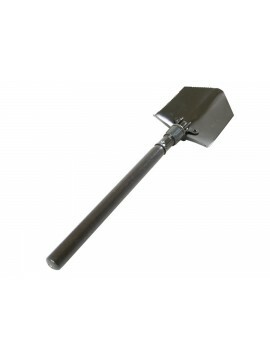 There are various types of metal detecting shovels for you to choose from. 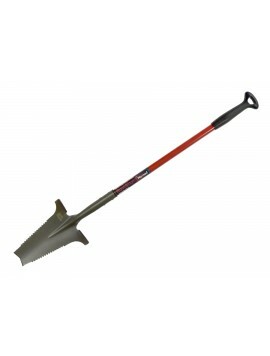 You’ll find that we have a wide selection of shovels, all sturdy, reliable, and tested for longevity. 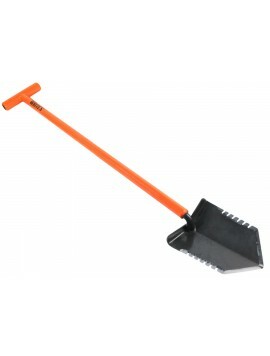 You can choose from shovels that fold up into convenient portable sizes, some that have pointed edges for breaking through hard ground, some with serrated edges for tougher digging and cutting through vegetation, some with wide blades, and some with long narrow blades for deeper holes with smaller circumferences. 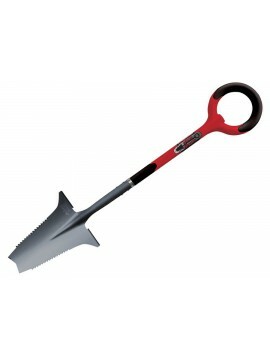 We also offer shovels that are multi-purpose, working as a pick in addition to a shovel, for serious digging. 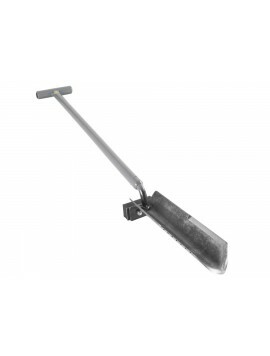 You will find that there are various types of handles on our selection of shovels – straight handle, T-handle, D-handle, ball handle, and wide-top handle. So, whatever your preference, we can help you find the right type of shovel for you.